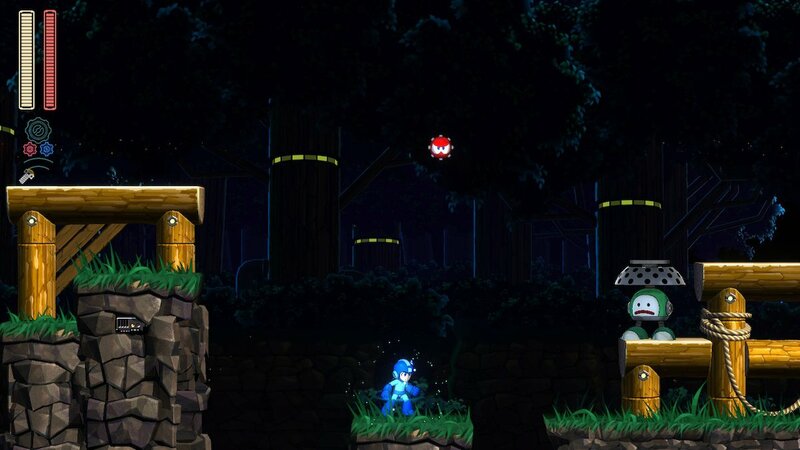 Mega Man is in a unique place among gaming’s classic franchises. 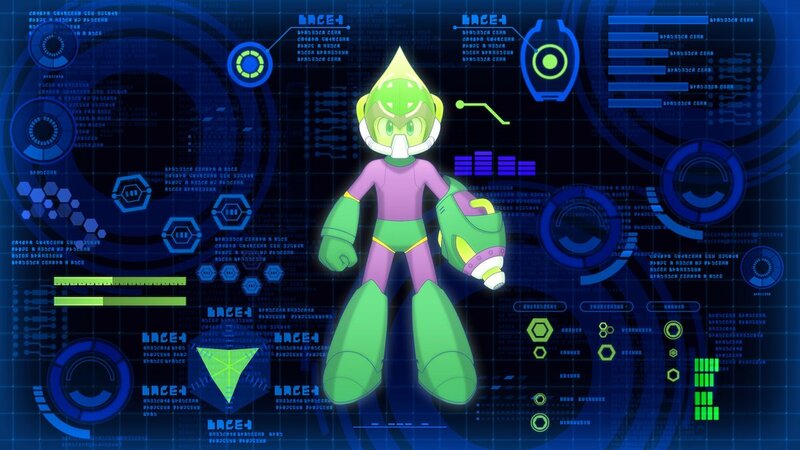 Unlike Mario or Zelda, Mega Man doesn’t strive to innovate with each new iteration. In fact, the Blue Bomber more or less settled on its formula back in the NES days, which saw no less than six entries make their way on the console. Perhaps ‘settled’ is too negative a way to put it, as the series found ways to tweak and twist its classic formula, and each entry still remained fun to play. After a decade of classic Mega Man titles (which saw two additional entries on SNES and Playstation/Saturn), developer Capcom simply stopped making further iterations in the classic series in favor of its various spinoffs like Mega Man X or Mega Man Battle Network. Then, after a decade of dormancy, the original Mega Man series returned with Mega Man 9 in 2008, which paid homage to the NES games. It seemed like Mega Man was here to stay once again, with Mega Man 10 following suit in 2010. But after 10, the series once again left the spotlight. This time, however, there weren’t even any spinoff titles to speak of. Mega Man simply disappeared (outside of recent compilation releases of past games). Series producer Keiji Inafune left Capcom, and many thought the developer was withholding the series out of spite. Well, after an eight-year hiatus, the main Mega Man series is finally back with the aptly-named Mega Man 11. And while it still may not be an evolutionary step in gaming that we expect from Mario or Zelda, Mega Man shows no signs of rust after his extended absence. The wheel may not be reinvented, but Mega Man 11 still finds enough new tricks to feel like a proper sequel, and not just a nostalgic retread. The first difference you’re bound to notice between Mega Man 11 and its immediate predecessors are the visuals. While 9 and 10 paid homage to the 8-bit origins of the series, Mega Man 11 looks like a proper follow-up to Mega Man 8’s more cartoony aesthetics. It’s a welcome change of pace to be honest. As nice as it was to see 8-bit Mega Man return on (then)modern hardware for the past two games, simply repeating the throwback visuals for a third time in a row may not have had the same appeal. By continuing the style of Mega Man’s 7 and 8, 11 feels like a more unique sequel paying respects to Mega Man’s most tragically overlooked gems. Not to mention the variety of bright colors and ‘softer’ character models transition really well into the current gaming age. As is expected of the Mega Man series, 11 also features a great soundtrack that – although not among the series’ best – provides some of the catchiest video game music of 2018. 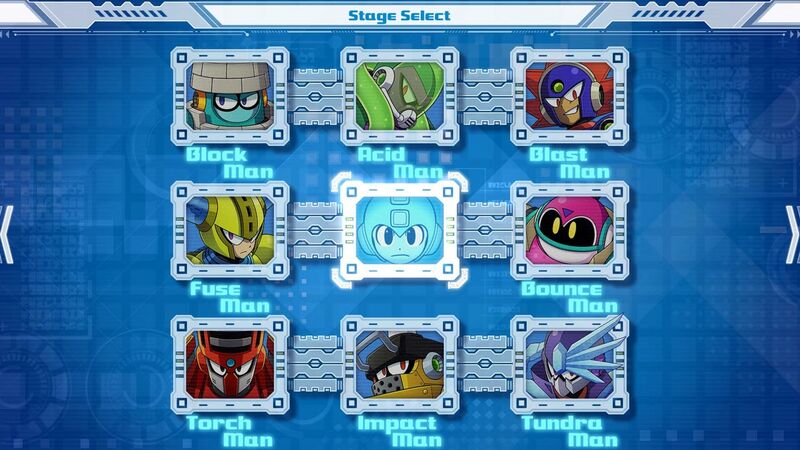 As for the structure of the game, well, it’s exactly what you would expect: Eight Robot Masters are waiting at the end of eight different stages, which can be played in any order the player sees fit. Each defeated Robot Master gives Mega Man a new power, with each power being particularly effective against a different Robot Master. Once these eight stages are completed, Mega Man moves on to Dr. Wily’s Castle for a small series of especially difficult stages leading up to a confrontation with the mad doctor himself. In another nod to Mega Man 8, the Blue Bomber can collect bolts throughout stages, which can then be used to purchase items in between stages. Some of these are the usual extra lives, E and W Tanks (for refilling health and weapon power, respectively), but you can also purchase special items like a shield that reduces damage by half and Beat the robotic bird, who will rescue Mega Man should he fall into a bottomless pit. You can also purchase items that will permanently boost Mega Man’s abilities during your playthrough. If the structure is the same, what exactly is new about Mega Man 11 that differentiates it from its predecessors? Well, the benefit of platformers is that, even if a series re-uses the same blueprints, the level design alone can distinguish one game from the rest. 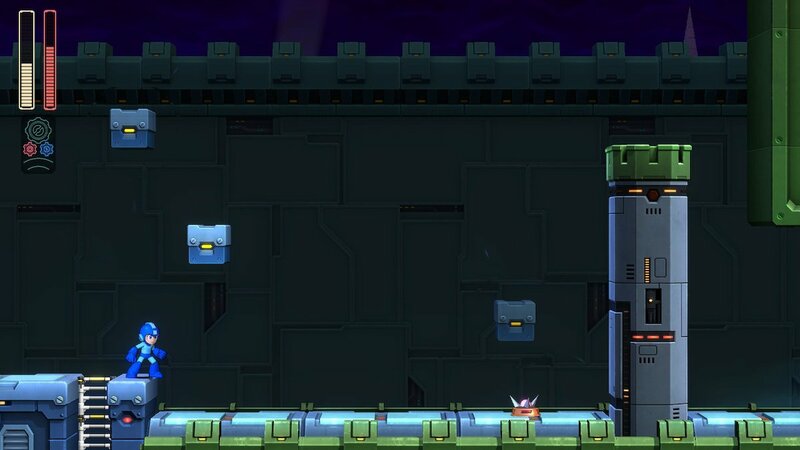 And for the most part, the level design in Mega Man 11 is stellar. 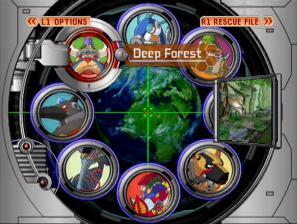 The stages are lengthy, have distinctive themes that find their way into the gameplay, and provide a good challenge. On the downside, the game seems to overuse some swarming, constantly spawning enemies, which feels like an unnecessary means to make already difficult platforming sections even more difficult. Sure, past Mega Man games had some sections with constantly spawning enemies, but Mega Man 11 pulls that card a little too often. The big new mechanic of Mega Man 11 is the Double Gear System. As the name implies, the Double Gear System features two new abilities, both of which are activated with shoulder buttons, and can only be used for a short duration before the Double Gear System overheats and needs to recharge. 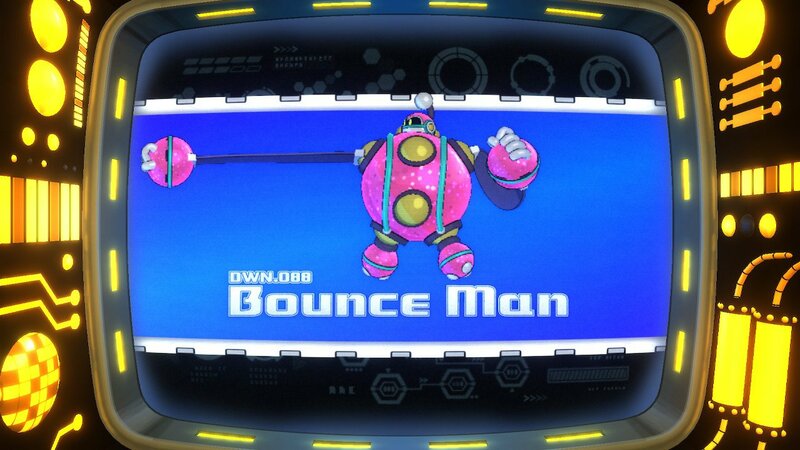 The Power Gear boosts the strength of not only Mega Man’s Mega Buster, but also the Robot Master abilities, leading to a variety of super powerful moves. 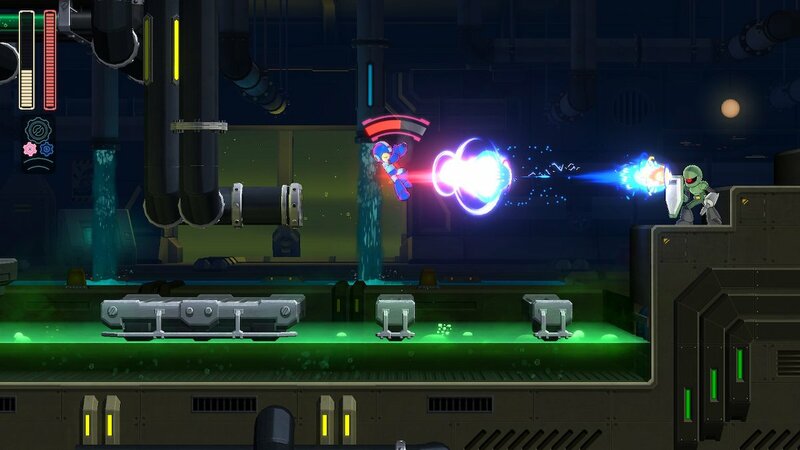 Meanwhile, the Speed Gear makes Mega Man move so fast that everything around him seems to be in slow motion. The Double Gear System is a great addition to the classic Mega Man gameplay, though it can feel a tad underutilized. The Power Gear, in conjunction with the Robot Master abilities, adds an extra element to the series’ rock-paper-scissors setup, and the Speed Gear sees some innovative uses in auto-scrolling and sub-boss sections. But by the time you finish the adventure, you can’t help but feel that the game could have provided more opportunities where you felt the gears were needed. Mega Man 11 does feature some additional challenge modes – like time trials, collecting blue balloons for points while avoiding red balloons, and things of that sort – but they aren’t exactly game-changers. So while these modes may serve as fun distractions, they still leave you wanting a little more for the main adventure. Mega Man 11 is a tried-and-true sequel. A worthy follow-up to an iconic series that feels all the more welcome due to the series’ lengthy hiatus. The Double Gear System is a nice little twist, but you may hope that, come Mega Man 12, the series might see a more radical change. Imagine a Mega Man title with 12 Robot Masters! Or 16! Or a sequel that lets you combine Robot Master abilities! The series already has a timeless formula to fallback on, so it could use a littler more experimentation. If Mega Man 12 tries its hand at something radically different for the series and falls short, they can always backtrack with Mega Man 13. This is a hard series to cause any permanent damage to itself. The classic Mega Man formula will admittedly always work to an extent, and Mega Man 11 is as fun as ever. But considering the Double Gear System feels a little underutilized – and other than that system this is a very straightforward Mega Man sequel – you can’t help but hope that the next entry will bring a little bit more to the table in regards to newness. Mega Man 11 delivers the Mega Man goodness the gaming world has been missing for far too long, but hopefully next time around, Mega Man can push himself to be even more. Mega Man X8 is like a small miracle. In stark contrast to the original Mega Man series – which kept a consistent quality even in its weakest entries – the X sub-series provided diminishing quality with each subsequent installment. The first few entries were great, but by the time the series reached X7, it had completely lost its way. In 2004 – a decade after the release of the first Mega Man X – the series received its eighth and, as of this writing, final installment. 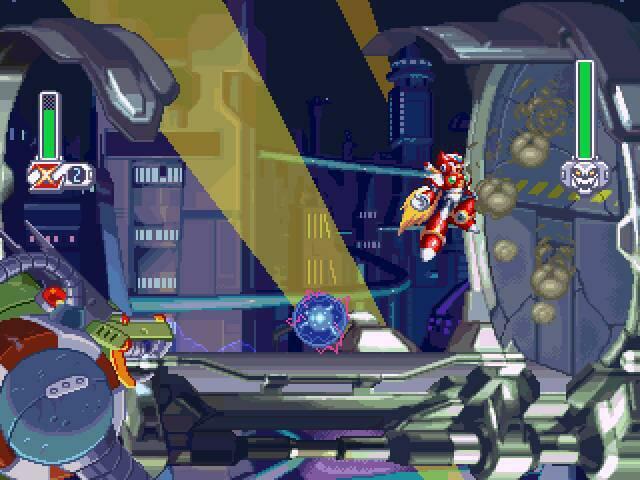 Returning to the side-scrolling roots of the series while retaining 3D visuals, Mega Man X8 served as a fitting return to form for the series. It may hit a few snags, and some of its more aged elements prevent it from reaching true greatness, but X8 is probably the most inspired Mega Man X game since the first two. In a lot of ways, X8 feels like a rectification of X7. Not only does it ditch the 3D segments, but also refines the promising ideas that its predecessor failed at in execution. 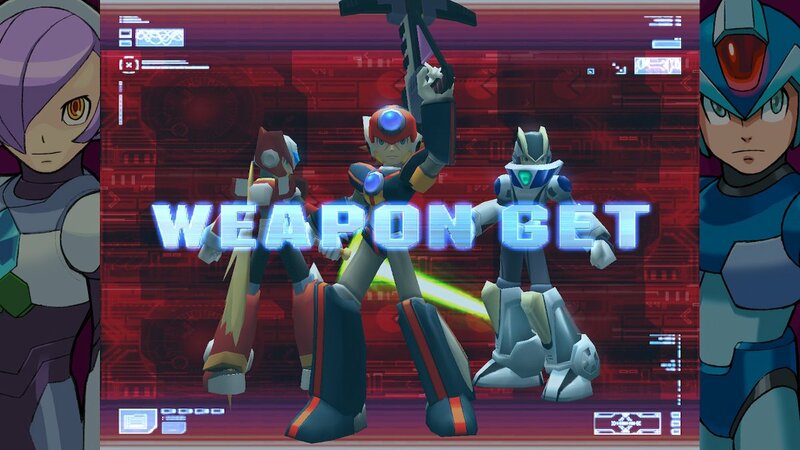 Once again, players can take control of Mega Man X, Zero and Axl, with all three being available from the start this time. Zero once again uses a laser sword and possesses a double jump, but X and Axl have more differences from one another this time around. X retains the classic Mega Man playstyle, with stronger blasts and his charged shot intact, while Axl may not be as strong, but has rapid fire shots and can shoot in multiple directions (at the expense of being able to move when he shoots), and still has his hovering ability. Each character has additional differences from one another as well. While X of course gains the powers of fallen bosses, and Zero once again gains additional moves, Axl now receives different guns from each boss. 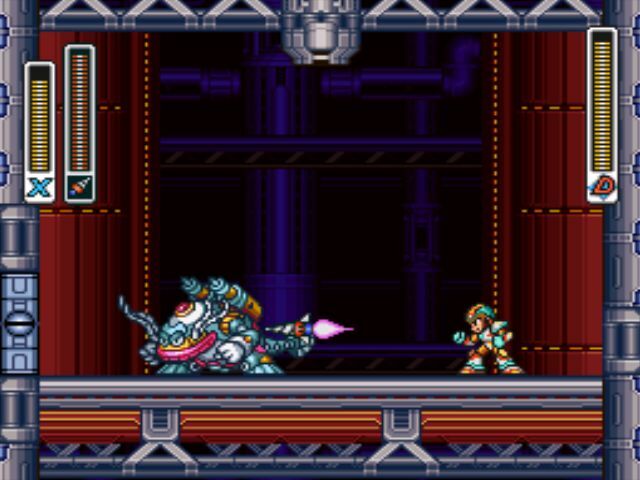 Perhaps most notably, since Axl lacks the punch of X and Zero, his special move allows him to turn an enemy into a capsule, which he can then use to transform into said enemy and gain its abilities (Mega Man X7 made it clear Axl could transform via cinematics, but this ability had no presence in gameplay before. That alone speaks volumes for the difference in effort between the two games). Like X7, you can select two characters per stage, and can switch between them at any time. This time around, the feature actually feels worth it, as you’ll often require the special abilities of different characters to uncover a level’s secrets. As an additional bonus, both characters actually have to die in order for the player to lose a life this time (albeit falling into a pit or touching a spike still results in an instant loss). Weakened characters can even recover some health when swapped out, in what seems like a feature ripped out of one of Capcom’s own fighting games. You can now even perform a powerful team attack with both characters if you can build up its gauge by stringing together combos. This time around, you can select one of three navigators to give you hints throughout the stages: the returning Alia, and newcomers Pallette and Layer (AKA best girl). Depending on who you select, your navigator will give you different information regarding stage hazards, hidden items, and boss weaknesses and strengths during different parts of a stage. Mega Man X8 also boasts a myriad of secrets which, again, often require combinations of characters and their abilities to unlock, leading to a great sense of replay value. 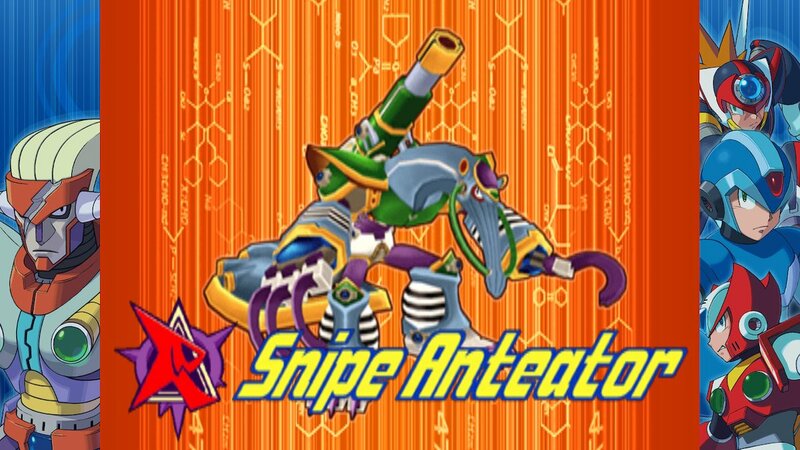 Gone are the Reploids that need saving and abilities that can be permanently missed. In their place are pieces of scrap metal strewn about the levels (think Mario’s coins), which are used as currency in between stages to purchase chips. Here’s where things start going against the series’ formula. Recurring items like life tanks now have to be purchased, and even extra lives are exclusively found in the game’s shop (by default, you have three lives, but can buy up to three more at any time). You can buy single-use items to prevent the aforementioned insta-kill from spikes (though the character will only retain one health). Besides the basics, you can also properly build up each individual character, granting them extra health, damage reduction, and other such bonuses. Additionally, secret ‘rare metals’ are hidden throughout levels that, when collected, add more items to the shop, including new weapons for Zero. The only series’ collectible that remains in the levels themselves are X’s armor pieces, but even those have a fun new twist. X now gets the “Neutral Armor,” which can be (somewhat) customized with armor pieces from the Icarus and Hermes sets if you can unlock them (you can equip the Hermes helmet and boots while wearing the Icarus buster and chest armor, for example). So while Axl has the ability to transform, and Zero gains additional weapons, X being able to find and customize armor really makes each character distinct from one another. Should you miss out on any of the items, you can restart your game in New Game Plus, where you can not only uncover the items you missed out on, but also gain access to even more unlockables, including the ability to play as the three navigator characters! Once again, it seems like everything that was good in concept about Mega Man X7 (secret characters, RPG-like progression for characters) was actually realized here in X8. Even the story is a refreshing change of pace for the series. Following the disasters that have befallen the world in the past few entries, humans have begun colonizing the moon, which they travel to via the Orbital Elevator. The director of the elevator is a new generation Reploid named Lumine, who soon becomes kidnapped by Vile (the series’ secondary villain returning for the first time since X3). Meanwhile, eight other new generation Reploids are seemingly becoming Mavericks, despite that their generation is supposedly immune to the Maverick Virus. Naturally, X, Zero and Axl set out to rescue Lumine and fix the problems the eight Mavericks are causing, and suspect that Sigma is behind everything (why would they think otherwise at this point?). And while Sigma does serve as a major antagonist in the plot, the story does take a different direction as the game goes on. It may not be anything earth-shattering, but by this point, anything other than “surprise, it’s Sigma!” is very much appreciated. With that said, not everything is great about X8. The music, while certainly not bad, isn’t particularly memorable. And while the visuals are nice enough, they lack the timeless quality of the 2D entries in the series. 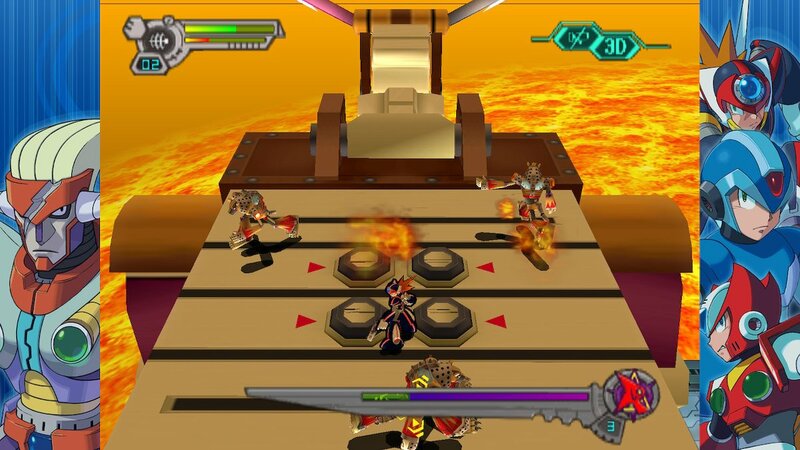 The stage design is mostly excellent and creative (including one level which plays with gravity, and another that’s almost entirely a descending obstacle course), but one stage sees the gameplay shift to a chase sequence in which the player hunts down the Maverick boss in flying vehicles through a city a la Attack of the Clones. This stage proves to be X8’s own little dose of ‘good in concept, not so much in execution,’ as it just isn’t particularly fun to play. Another level also changes the gameplay to motorcycling through snowy terrain (reminiscent of the polar bear stages from Crash Bandicoot 2), and though this level is actually a lot of fun, it does mean that two of the game’s stages remove the ability to use the benefits you work hard to unlock. Thankfully, Capcom seemed to be aware of this, and made the opening stage of X8 repayable to uncover some additional items. Though one other frustrating level remains in the form of the game’s final stage, which ramps up the difficulty far beyond the rest of the game. So Mega Man X8 isn’t a masterpiece, but when you consider how far the X sub-series had fallen by the time it got to X7, then X8 has to be one of the best turnarounds in video game history. On one hand, looking back at Mega Man X8, it feels like it was the right decision to end the series on a high note to redeem it after the decreasing quality of its predecessors. But on the other hand, with X8 getting so much right and feeling like a proper step forward, it would be nice to see the X series make a return and build on what X8 started. It’s been over fourteen years since Mega Man X8’s release, and while the series has remained dormant in that time, the fact that X8 fixed so much about what went awry with the series has only made the heart grow fonder for the series in the years since. Who knows whether Mega Man X9 will ever happen or not, but the fact that the series actually managed to find its stride before it rode off into the sunset is an achievement in its own right. You have to give credit where it’s due, Mega Man X7 tried to change up the Mega Man X franchise. The 2003 PS2 title turned the series into a 3D third-person shooter, only on occasion going back to the side-scrolling roots of its six predecessors. But the good intentions of breaking convention amount to very little with how poor Mega Man X7’s execution is. 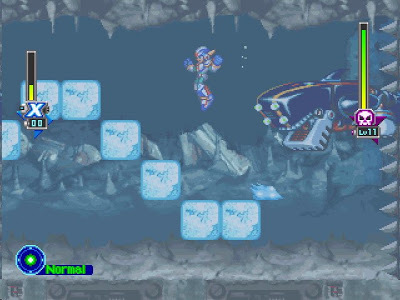 While Mega Man X7 does try changing the gameplay, the structure of the series remains the same: after the opening stage, beat the eight main stages in whatever order the player sees fit, beat the bosses and get their powers, then move onto the final few stages. As stated, the gameplay has switched gears to a 3D perspective for the most part, but there are other additions and changes as well, perhaps the most baffling of which being that you have to unlock Mega Man X! That’s right, you can’t play Mega Man X7 as Mega Man X until you’ve rescued 64 Reploids (out of 128) from the eight main stages. Instead, you start the game with two characters: the returning Zero, and newcomer Axl. Zero once again uses a close-ranged laser sword and can perform a double jump, while Axl uses an arm canon like X’s and can glide for a short time. Problems arise almost immediately. You start the opening stage as Axl, and quickly find out that he (along with X when you unlock him) automatically targets enemies. So you basically just have to spam the fire button to get past anything. A simple ‘lock-on’ button would have gone a long way in making Axl and X’s gameplay feel less mindless. Zero, meanwhile, has to be so close to enemies in order to hit them that he’ll almost always get hit himself in the process. X7 does try its hand at doing something else original in that you can select two characters at a time, who can be switched at the press of a button. But even this is poorly executed. For starters, both characters you choose have their own health bar, but if only one of them dies, you lose a life. Then there’s the fact that there are only three characters – one of which having to be unlocked – meaning that you’ll just have the party of Zero and Axl for much of the game, and will probably just swap one of them for X once you gain access to him. And since you once again build up the characters with items gained from rescued Reploids, you’re best off just building up one of the starting characters and holding off on the other in favor of X, or just building up the two starters and ignoring X. Wouldn’t this system have been better if all three characters were there from the start? Or at the least if there were additional unlockable characters who you recruited sooner? 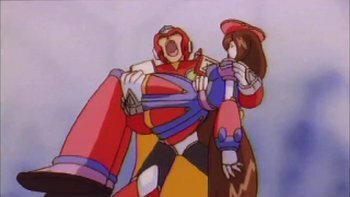 Speaking of rescuing Reploids, Mega Man X7 somehow didn’t learn from the mistakes of X6. Like its predecessor, it’s possible to miss your opportunity at rescuing a Reploid, which would be forgivable if not for the fact that if you miss a Reploid you don’t get another chance to rescue them in the same playthrough of the entire game! 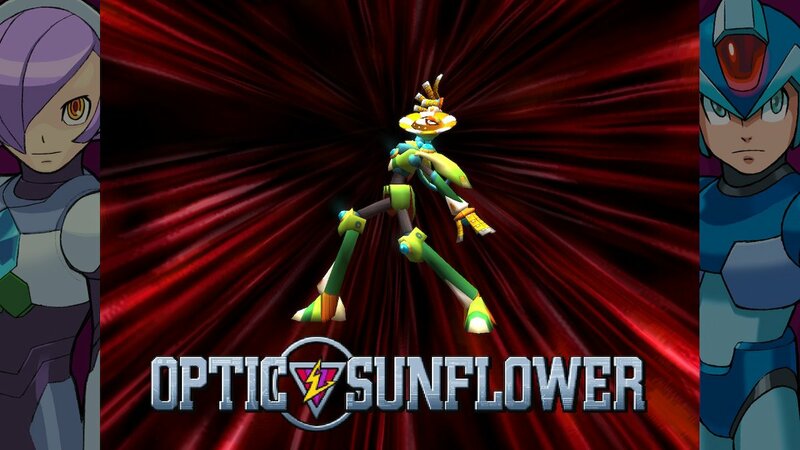 This is somehow made even worse than it was in X6. At least the last time around, you had a few seconds to act before a ‘Nightmare Virus’ took hold of a Reploid, but here, they get killed by the smallest of touches by an enemy. I am sadly not exaggerating when I say there were multiple instances in the 2D segments where a Reploid was already dying as I made it to their screen. So once again you can easily miss out on getting every item and collectible in the game, unless you feel like reloading your last save over and over again until you have every fragment of a stage memorized. The game simply isn’t fun to play. On top of the aforementioned ability of the gun characters basically just walking through a stage and blindly shooting, and Zero’s inability to hit anything without getting hurt himself, the characters all just move way too slow. 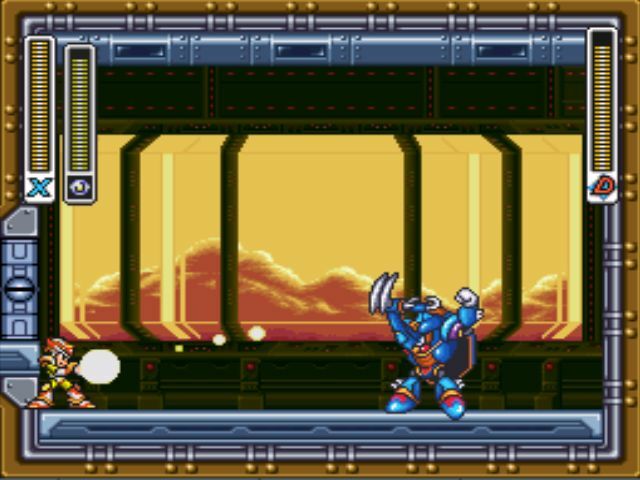 It’s a bit of irony how Mega Man X began as the more fast-paced, action-packed iteration of the Blue Bomber, but by X7, he’s reduced to moving at a snail’s pace. Even the level design is sloppy, though I suppose in fairness, X7 at least has the excuse of the developers entering new territory and fumbling. I guess that’s more forgivable than X6 being a failure at things the developers had achieved successfully time and time again. But that still doesn’t mean the stages are any good. On the plus side, some of them are at least built around a single motif (the Ride Armor level, the motorcycle level, etc. ),which helps them stand out, but once again X7’s good intentions are sullied in the ‘finished’ product. The platforming stages are unmemorable, the motorcycle level is insanely slow (?! ), and the Ride Armor Stage just falls flat. There’s also a stage in which players ascend a spiraling tower, which is an interesting change of pace, but of course it has to be ruined by constantly falling buzzsaws that you can seldom avoid, and flying enemies that are just above what’s visible on screen that hit you mid-jump and send you back to a previous point of the stage. It’s a mess. 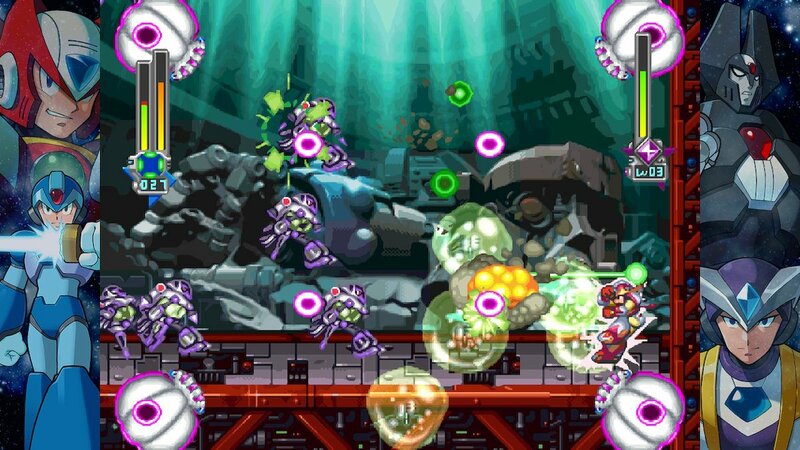 While most Mega Man games are difficult, the only challenges you’ll find out of Mega Man X7 come from the clunky controls combined with the sloppy level design and horrendous camera. I’d be more in favor of a polished game that’s a cakewalk to a game that’s tough solely out of incompetence. Even the story aspects fall short of the already diminishing narratives of the series. The story is that X has retired from combat, as he’s “tired of fighting” (which seems contradictory to a character who was determined to protect humans from evil robots. But whatever, I guess the game needed some reason why you need to unlock the main character). With X retired, a new force rises to help the Maverick Hunters defeat evil, Red Alert. But a mysterious evil – who may or may not be Sigma (not-so-spoiler alert: it is) – has slowly corrupted eight members of Red Alert, who have become violent as a consequence. Because of their new behavior, Axl leaves Red Alert and eventually joins Zero, while the “mysterious evil” blackmails Red Alert’s leader – aptly named Red – into doing his bidding or he’ll destroy the eight members who are under his control. It’s…not very good. And it’s made all the worse by some truly awful voice acting (Axl is particularly insufferable). The fact that Mega Man X7 is a Mega Man title with terrible soundwork might be its biggest crime. The music isn’t exactly horrible, but it’s bland and forgettable in every regard. But the sound effects… The sound effects are either non-existent (such as when collecting items, which are completely silent), or annoying soundbites that are repeated ad nauseam. The aforementioned voice acting is terrible in cinematics, but it reaches new lows during boss fights, in which your foe screams the same one or two sound clips every time they do, well, anything. Anyone who has played Mega Man X7 knows the audial hell that is the boss fight against Flame Hyenard. This Maverick shrieks two lines: “Burn!” and “Burn to the ground!” every time he performs an action. And he makes two copies of himself which do the same. Suffice to say it’s an utter bombardment on the ears, with soundbites frequently overlapping each other. It’s so stressful that it may make Mega Man X7 the worst sounding game I’ve played since Dark Castle on the Sega Genesis. Visually, the game of course looks dated, but considering X7 was released in the same year as such visually stunning games as The Wind Waker and Viewtiful Joe, it looked outdated even for its time. At the very least, the game boasts enough variety in colors that you can at least tell what everything is. I can’t imagine how the game would be playable if things blurred together on top of all its other issues. Mega Man X7 is simply an appalling embarrassment on one of gaming’s most iconic franchises. Perhaps in its conception, its heart was in the right place, as it attempted to do something different for the series by doing something different. But it must have quickly fallen apart at the seams for it to end up this bad. Just about anything good you could say about it only applies in concept. Yes, Mega Man X7 tried something new, and that’s admirable. But it’s next to impossible to appreciate when the finished product feels, well, unfinished. BURN! BURN TO THE GROUND! BURN! BURN! BURN TO THE GROUND! BURN! BURN TO THE GROUND! BURN TO THE GROUND! BURN! BURN! BURN! BURN! “BURN TO THE GROUND! Is Mega Man allergic to the number 6? As far as the main series goes, Mega Man 6 has to be the weakest entry, as it represents the series’ most creatively lazy moment. The Mega Man X series also reached a low point with its sixth installment, aptly titled Mega Man X6. While Mega Man 6’s biggest crime was complacency, it was at least still competently fun. X6, on the other hand, is a bad game. Bad enough that series’ producer Keiji Inafune – who wasn’t even much involved with the title – felt that fans were owed an apology for it. Released a year after X5 was intended to wrap-up the series, Mega Man X6 feels rushed in a way that no other entry in the franchise – even other annual installments – ever did. There is such a lack of polish emanating from Mega Man X6, that you may wonder if anyone involved with its production even tested it before release. Set a mere three weeks after the events of X5, Mega Man X6 sees the world in disarray. Zero seemingly sacrificed himself saving the Earth from a space colony that was on a collision course with the planet. 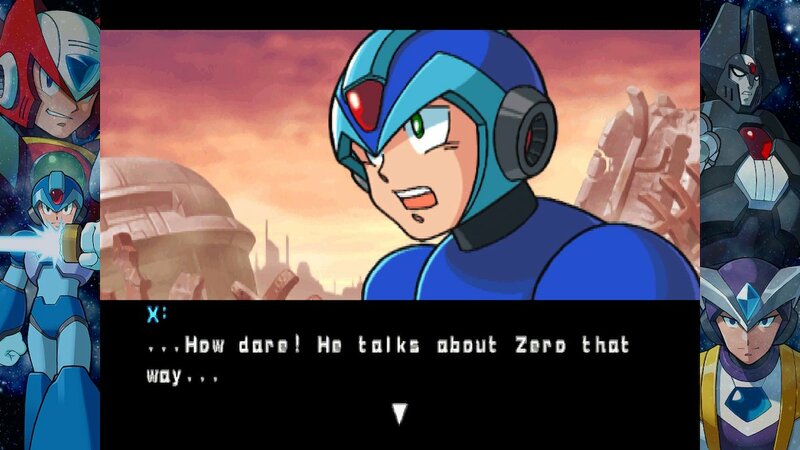 Though Zero managed to survive the ordeal (much to the dismay of Inafune, who wanted Zero to have a hero’s death), much of Earth’s population – both human and Reploid – have been wiped out (so I guess by Zero “saving the Earth” the game means it in very relative terms). A new ‘Nightmare Virus’ has been created by a maniacal Reploid named Gate, who is using the virus to turn Reploids into Mavericks (so basically it’s identical to the virus from the last game). Zero went into hiding to repair himself, but the Nightmare Virus is said to have been created through Zero…or something. It gets kind of hard to follow, especially with the hilariously bad translation. Anyway, the structure of the game is the same deal as before: Eight bosses to choose from, beat them to get their powers to use on other bosses, defeat all eight to move onto the final stages in Gate’s secret laboratory. There is at least a little deviation from the formula here in that you don’t actually have to beat all eight main stages to move onto Gate’s laboratory. Once again, optional mid-bosses will find their way into some stages, and if you can defeat two of these mid-bosses – Nightmare Zero and oddly-named High Max – you can go straight to Gate’s lab without finishing the rest of the stages. Additionally, defeating Nightmare Zero will unlock the ‘real’ Zero as a playable character. Having to unlock a character who was playable from the get-go in the last two games may seem underwhelming, but at least it’s consistent with the story. And on the plus side, Zero actually has some new moves this time around. X, believing Zero to have died, took up his comrade’s old sword (in addition to the X Buster), so Zero has a newer, more versatile sword. 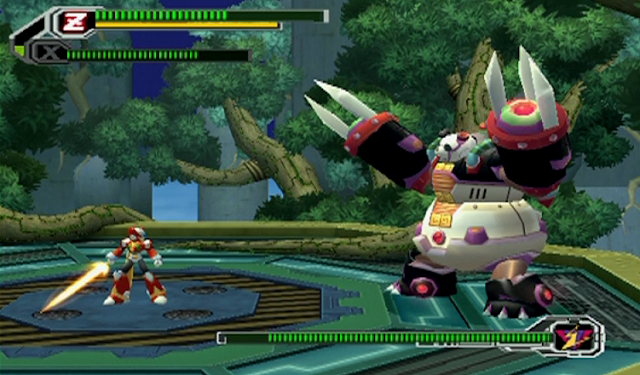 Also like X5, the player can select two versions of X from the start (the standard version, and the Falcon Armor from X5), and there are secret armors for X and Zero to be found throughout the stages. So far, that may not sound too bad, just a bit familiar. But where Mega Man X6 not only becomes a disappointment, but an embarrassment to its series is in its level design. Not all the stages are flat-out terrible, but at their best they’re still forgettable. Those stages that are terrible, however, will leave you scratching your head wondering how Capcom felt such levels were finished. The eight bosses here are Commander Yammark, Blaze Heatnix, Ground Scaravich, Blizzard Wolfgang, Rainy Turtloid, Shield Sheldon, Infinity Mijinion, and Metal Shark Player. The names alone are cringeworthy, but as bad as lame as these characters are (except maybe Turtloid), their stages can be that much worse. Blaze Heatnix’s stage in particular is notorious for a tedious sub-boss which is recycled four additional times in the same stage. Do you think they were out of ideas? Since its beginning, the Mega Man series has been known for its difficulty, but X6 seems to be a parody of this aspect of the franchise, with numerous moments that feel outright unfair out of incompetent game design. Some sections feature blind jumps that – should you jump too far – could send you plummeting into the series’ infamous one-hit kill spikes. There are multiple instances of enemies and projectiles bombarding you from all directions, apparently forgetting this is a platformer and not a bullet-hell game. And one particularly arduous moment in Blizzard Wolfgang’s stage sees the player robbed of the series’ wall-jumping ability as you’re trapped in a pit, waiting for ice blocks to fall to create a way out. That may actually be interesting, except that should you get stuck in between two stacks of ice, you have no means of escaping except slowly awaiting death by means of the falling obstacles (on top of the ice blocks, fire balls and robot wolves are also falling on you). Perhaps none of the stages are as poorly designed as those of Gate’s Laboratory itself. The very first of which features a series of spiked walls that are next to impossible for X to overcome without his secret armor, and should you decide to pick Zero to use his abilities to maneuver through the stage, it ends with a boss who, in turn, is next to impossible to defeat with Zero. There’s a difference between making a game challenging, and simply stacking one insurmountable odd after another on the player and calling it a day. Mega Man X6 apparently didn’t get that memo. I’ve played trolling stages in Super Mario Maker that are less infuriating. There are, however, two aspects of Mega Man X6 that are enjoyable: The first is that it builds on two aspects of the past two X titles by putting them together. Like X5, you can equip X and zero with different abilities, which are now unlocked by rescuing Reploids scattered throughout the stages. 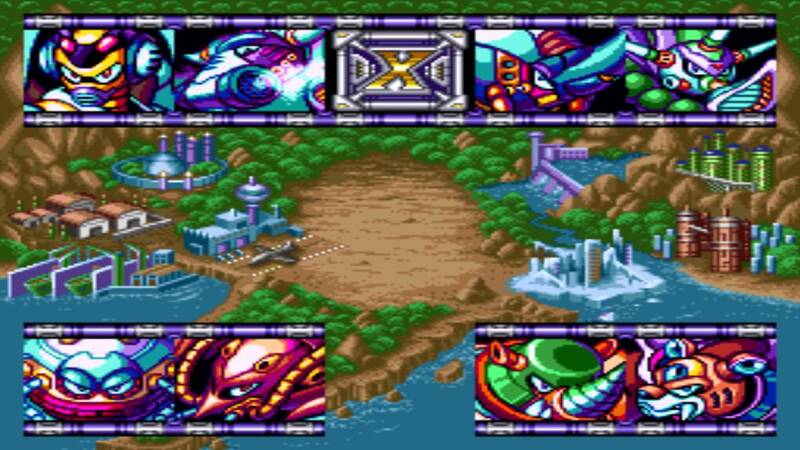 X5 had players simply select abilities after completing a few stages, while X4 and X5 featured savable Reploids who merely granted extra health or lives. By combining the concepts, both features feel more worthwhile, and create a better sense of progression. There’s even a little twist to the proceedings in that robot ‘Nightmares’ can possess the Reploids before you rescue them. It’s an interesting concept, but one that’s utterly ruined by the fact that once the Reploids are corrupted by Nightmare, you’ve missed out on them for your whole play through. There are no second chances. So if you want every Reploid and item, you’ll often have to reload your previous saves. The other highlight of Mega Man X6 is its soundtrack. 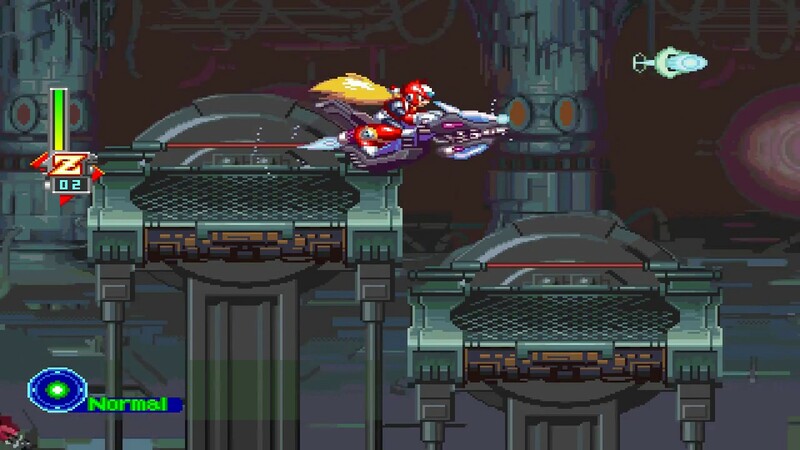 While it may not reach the heights of the scores of X, X2, or even X5 (let alone the main series), the soundtrack of Mega Man X6 still creates a number of catchy tunes that encompass a wide range of styles. 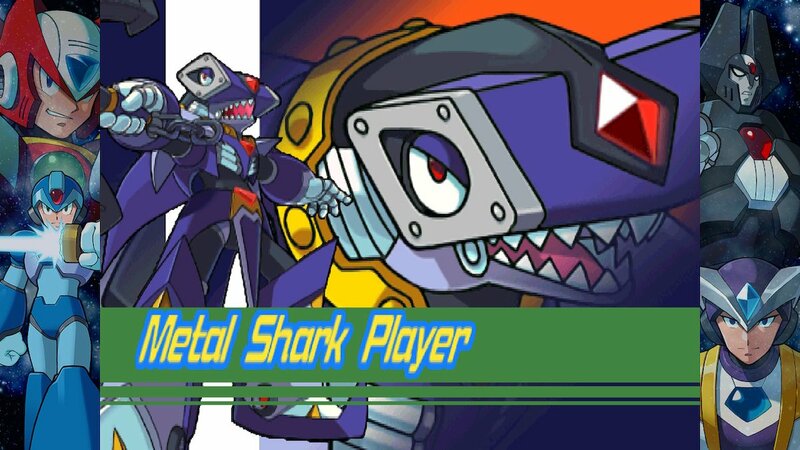 Even Metal Shark Player’s stage is livened up with its Terminator 2-esque music. While the music may be a highlight, the same can’t be said for the visuals. The backgrounds still look as sharp as they did in X5. But many of the character sprites look downright unfinished, with some of the Maverick bosses seemingly lacking animations (I’m looking your way, Infinity Mijinion). Sure, X and Zero look great, but that’s because they’re the same as they were in X5. The Mavericks, on the other hand, often look rushed out the gate. It’s kind of amazing to think just how far the Mega Man X series fell from grace. The first X breathed new life into Mega Man, the second one matched it in many ways, while the third was a solid follow-up. X4 may have been a bit familiar, but the appeal is still there. Hell, even X5 isn’t a lost cause. But then comes Mega Man X6, the first entry in either of Mega Man’s two primary side-scrolling series that stumbles more than it strides. The character progression and music are still fun, but the level design ranges from mediocre to disastrous, more or less screaming the game’s rushed development through a megaphone. Its lack of polish is embarrassing. Capcom certainly knows when they have a good thing on their hands. Unfortunately, they don’t always seem to know when they have too much of a good thing. The original Mega Man X was a brilliant twist on the classic franchise, and X2 was a worthy follow-up. X3 was still a solid successor, but by the time we got to 1997’s X4, things got a little redundant. This was more than a little ironic, considering the first X was created to reinvigorate the Mega Man franchise, after the original series had grown a little fatigued in the NES days. After a much-appreciated two-year hiatus, Mega Man X returned in 2000 on the Sony Playstation with Mega Man X5, which was originally intended by producer Keiji Inafune to be the finale of the X sub-series. While the game’s story definitely has a feeling of finality to it, its by-the-books and often questionable execution made sure the X series would continue for three more entries. Though the series may have been best left with its original trilogy, Inafune was probably onto something when he wanted X5 to wrap things up. The series had simply run out of steam. That’s not to say that Mega Man X5 is innately bad, it’s just very, very uninspired. The formula is the same as ever: choose between the eight different Maverick levels, defeat said Mavericks and gain their powers to use against other Mavericks, defeat all eight bosses to unlock the final set of levels. The big difference here being that you can choose between X and Zero at any time between stages, as well as a suited-up version of X with all the upgrades he got throughout X4! Once again, X is long-ranged, while Zero uses a sword. A light RPG element is also in place, with the player able to choose different bonuses for the characters after a set number of stages are completed, with those bonuses being equipped on the level select screen. Despite the upgraded X being playable from the start, there are still secret upgrades to find – for the brand new Falcon and Gaia Armors – which are thankfully better hidden than they were in X4. The difference here is that none of the armor pieces take effect until their entire sets are found. A huge downside to these new armors, however, is that Zero can’t equip them. 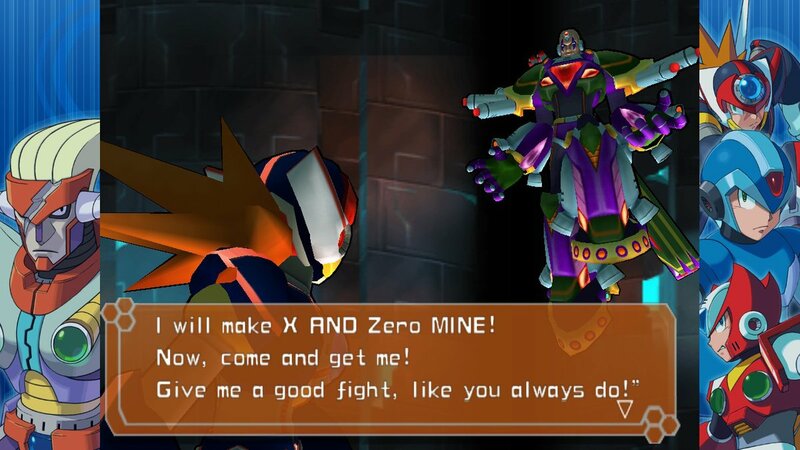 If Zero collects an armor piece, he just gathers it for X to use later. 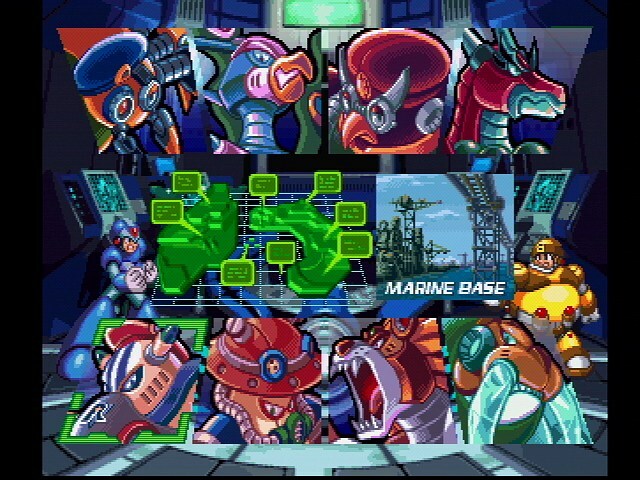 The stages themselves are short and simple, and the eight Maverick bosses are pretty forgettable (only being notable for the references to Guns ‘N’ Roses in their naming upon the game’s western release, though that aspect has been removed in the Legacy Collection in favor of more direct translations of their Japanese names). There is still some fun to be had with the Mega Man formula, to be sure. But Mega Man X5, more so than any of the main series entries, screams ‘been there, done that’ at almost every turn. As stated, there is a bit of finality to the story here. Sigma has been resurrected for the umpteenth time, and throws a fight against X, allowing his current body to be destroyed and the ‘Sigma Virus’ to scatter across the world to every Reploid, which will slowly turn them Maverick (why the virus spreads after this defeat and none of Sigma’s previous defeats, I’m not sure). At the same time, Sigma’s new right-hand man, Dynamo (a bargain bin version of Bass from the main series), has sent an entire space colony on a collision course with Earth, which will wipe out most of the planet’s life – human and Reploid alike – should the collision take place. 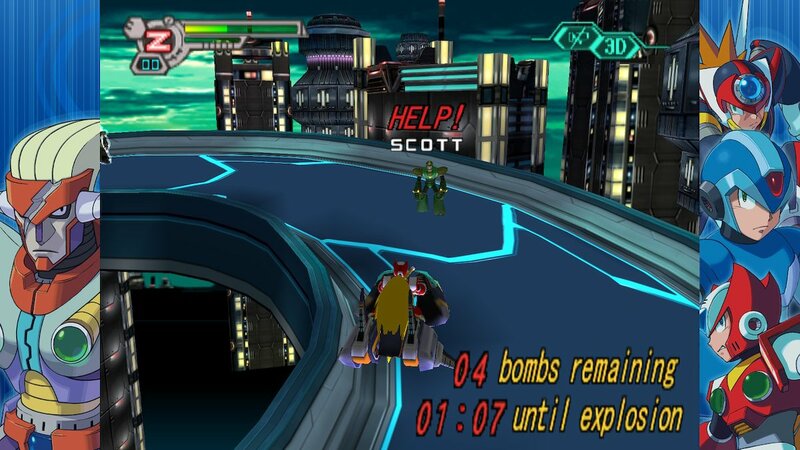 Mega Man X5 at least tries something new with its story, giving the player a set number of ‘hours’ before the space colony hits Earth (each stage or story segment saps away an hour or so in the game’s story). But what’s baffling is that this is a game that features multiple branching stories and endings, yet the player has little control over which way it goes. The Maverick Hunters have two countermeasures to Sigma’s plan: a shuttle that can be used to crash into the colony, and a giant laser to blow the damn thing to smithereens. Naturally, both the laser and shuttle are split into four pieces each, with each of those pieces being in the hands of the eight Maverick bosses. Though the player can choose the stages at their own leisure and claim the pieces however they like, whether or not either the laser or shuttle destroys the space colony is all up to random chance. So the story has multiple outcomes, but without the player having any say-so which direction it goes. Though the callbacks to both previous Mega Man X titles, as well as the original series, are a nice touch. 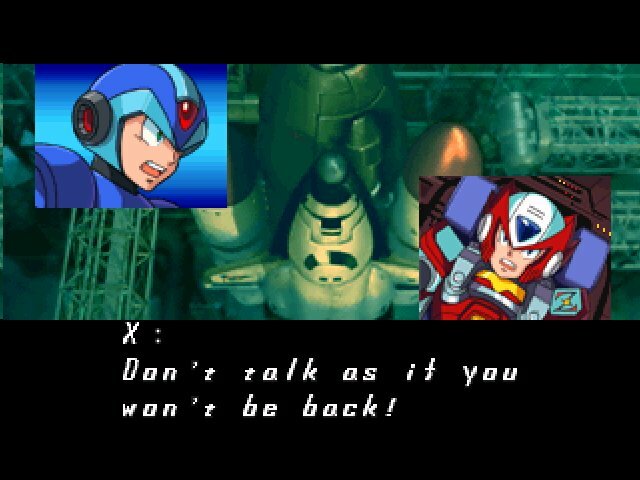 If there is one absolutely unforgettable aspect of the series’ newfound emphasis on story and plot, it’s that the dialogue boxes of Mega Man X5 just don’t stop. One character in particular, Alia (your basic source of tutorials and exposition) will call either X or Zero non-stop to tell them the most obvious mechanics or plot threads. She’s basically Skyward Sword’s Fi before Skyward Sword’s Fi existed. It is sadly not an exaggeration when I say there are instances where a stage will begin with a bombardment of dialogue boxes, at which case the player walks a few steps before they’re assaulted with even more on-screen text. What’s worse is that she’ll even explain – in excruciating detail – the very basics of the series. Remember that this is the fifth entry in the X series, and that they all follow the same basic structure of the original Mega Man series, of which there were eight at this point, and X5 of all entries has more emphasis on tutorials and explanations than any previous entry. Another downside to X5 is that it’s just too easy… except when it isn’t. 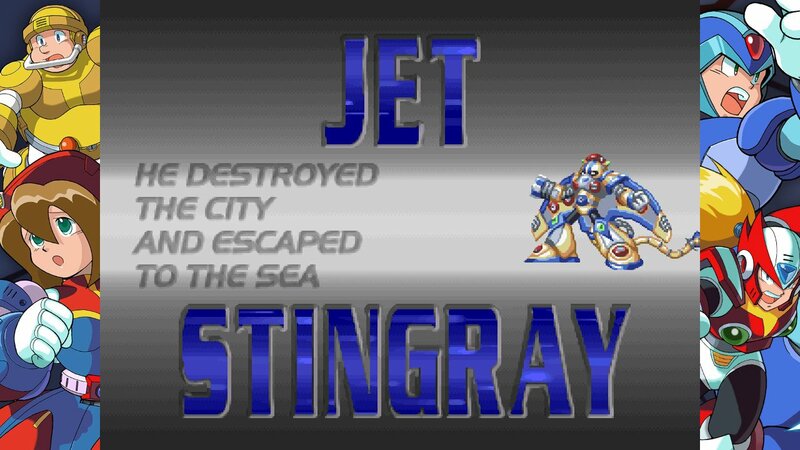 For the most part, this is the easiest Mega Man X title up to this point (which may be more forgivable if the level design were more creative, as was the case with the fifth entry of the original Mega Man series). Perhaps the more frequent checkpoints and having your powers refill to maximum after each death aren’t the worst changes, but the level design itself is just too much of a cakewalk to what you would come to expect from Mega Man at this point. Of the eight main stages, only one of them provides a steep challenge. Even then it’s only because its opening segment features a high-speed motorcycle section. The irony here being that this stage features a change in gameplay (which you’re immediately thrown into, no less), and yet it’s just about the only section in which Alia doesn’t feel the need to explain things. Besides this, only the Sigma levels at the end of the game provide any real difficulty, but by that point you’re so accustomed to the easier gameplay that the extreme spike is kind of jarring. But I guess the homages to end-game bosses from the first games in both the original and X series are another nice touch of nostalgia. Visually, X5 is an improvement over its predecessor. The early 3D backgrounds of X4 are replaced with much more appealing 2D environments, while the character sprites are even more detailed and polished than before. Though on the downside of things, only the intro video retains the anime style of its predecessor, with the rest of the cinematics being static images with, you guessed it, text boxes. Sure, the voice acting of X4 was pretty bad, but resorting to more text boxes seems like a big step backwards in production. Perhaps the biggest highlight of Mega Man X5, however, is its soundtrack. While one expects Mega Man music to be good, it seemed like each subsequent X title’s score wasn’t quite as good as the last. But with Mega Man X5, the soundtrack seems to be back on track. The tunes may not be as iconic as those of the original series or the first X title, but it’s a big improvement over the past few entries, and even seems to dabble in more styles than its predecessors as well. Mega Man X5 may not be a bad game in the usual sense of the term, but it does feel like it’s simply going through the motions, with very little heart going into the effort. It’s capable of providing some good fun, it still looks great, and sounds even better. But if you’ve played any Mega Man game before, you know the drill by now. 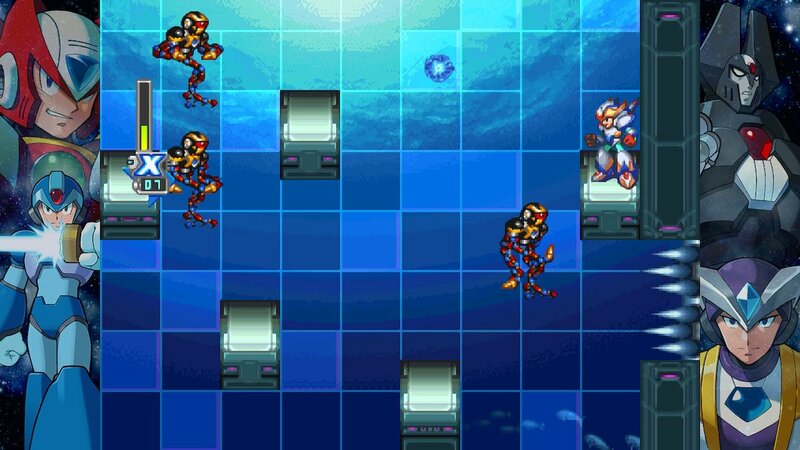 Even when the original series began to phone it in, the level design was still clever, but that sadly can’t be said for Mega Man X5. And even when X5 does start to pick up, you’ll probably be stopped in your tracks by in-game text. Because being forced to stop to read that a rock is immediately in front of us is exactly what we want in an action side-scroller, right? There is more than a little bit of irony in Mega Man X3’s very existence. Six Mega Man games were released on the NES, with only small windows of time between releases. Mega Mans 2 and 3 were stellar sequels that easily surpassed the original, but 4 through 6 – while undeniably fun games – presented very little in the realms of newness, leaving the series feeling wrung dry by the time the SNES rolled around. Enter Mega Man X. The Blue Bomber’s 1994 foray into the 16-bit age was created to be a breath of fresh air for the franchise, with a new Mega Man, a new setting, and just enough new elements to make the series’ gameplay feel fresh again. The very next year saw the release of Mega Man X2, which was a worthy successor, if a bit familiar. Then we had Mega Man X3, the third entry in the sub-series in as many years. 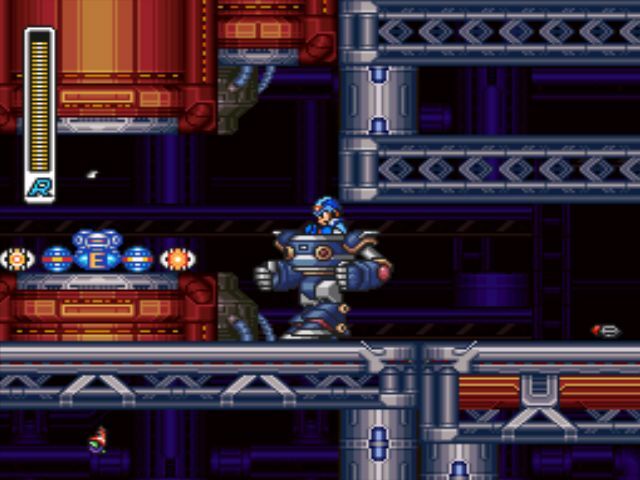 While X2 had the benefit of being merely second in line – thus making its familiarity easier to forgive – and added its own twist in the forms of three optional side-bosses who altered the story, Mega Man X3 is where things might start to feel like they’re entering ‘conveyor belt’ territory. The original Mega Man series found new heights with its second and third entries, only becoming formulaic with its second trilogy’s worth of installments. But Mega Man X – the series created for the purpose of revitalizing Mega Man – started to cool off a lot faster. That’s not to say that Mega Man X3 is a bad game by any stretch of the imagination (Mega Man’s gameplay was always more refined than any platformer of its day not directly created by Nintendo), but it does feel like a copy-and-paste sequel of Mega Man X2. Strangely enough for a platformer, it’s the story of Mega Man X3 that seems to differentiate itself most from its predecessors. After the events of X2, the Reploids – humanoid robots capable of thought and emotion – live in peace with humans, as the Reploid scientist Dr. Doppler has begun reprogramming Mavericks (Reploids who seek war with humanity). It turns out to be a rouse, however, as soon enough Dr. Doppler himself goes rogue, and all the Mavericks he reprogrammed now obey his every command. 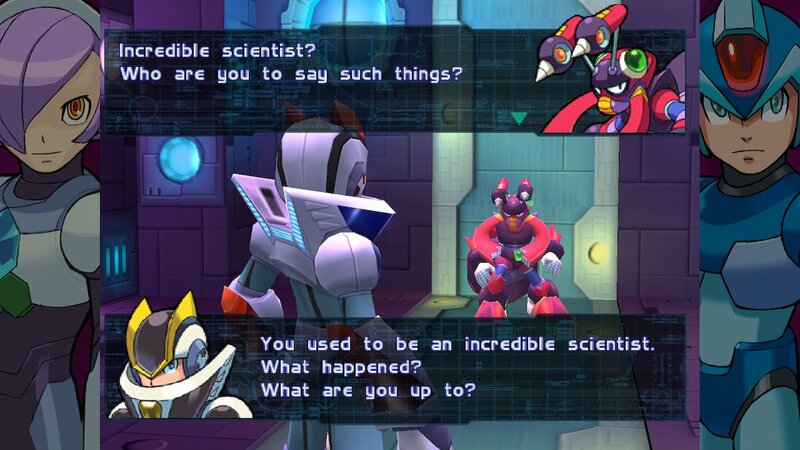 Of course, it’s up to Mega Man X – as well as Zero – to put an end to Dr. Doppler’s plot. The game follows the usual setup: There’s an introductory stage, followed by the eight selectable main stages that end with a boss fight against a Maverick, Mega Man gets a power from every defeated boss to use against other Mavericks, and a final series of stages are unlocked after the eight bosses are felled. On the plus side, the level design remains challenging and fun. X’s wall-jumping abilities really get put to the test, with platforming challenges that really work in favor of the mechanic. Perhaps the biggest introduction to the gameplay is the ability to actually play as Zero, who comes equipped with a laser sword! Though as enticing as that sounds, it ultimately comes across as a tease, as Zero’s playable role is pretty limited. You can switch to him in the pause menu, but if you switch back to X or die while playing as Zero, you can’t select him again until you get a game over or move on to the next stage. That would already be pretty limited, but the game will find seemingly every opportunity to force the player to switch back to X. Don’t expect to face off against any sub-bosses as Zero, as X will automatically come back into the picture, which once again prevents you from re-selecting Zero. X3 may have the biggest emphasis on secret collectibles in the series up to this point. The usual Mega Man X secrets return: Heart Tanks increase X’s maximum health, while sub-tanks store health items for later use, and X can find hidden upgrades for his arm canon, armor, helmet and legs. There are two new secret collectibles added to the mix in X3, though one is definitely better utilized than the other. 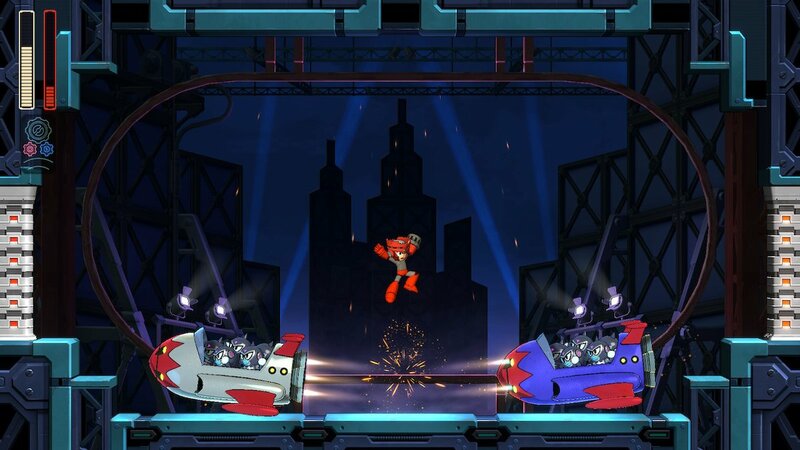 The first new item are the “Ride Armors,” the same mecha suits found in the previous games, but with a new twist. After finding one of the four Ride Armors, they can be summoned in certain sections of every stage once you find a special platform. Each of the Ride Armors has their own strengths and weaknesses, and being able to find their uses on different stages does add a little something different to the proceedings. The other secret item introduced in X3 are four special chips which, like the upgrades, grant X new abilities and passive bonuses. The caveat with these chips is that you can only get 1 in any given playthrough. That would be a unique twist if you had the option to replace the one you chose, but when they say you can only have one chip they really mean it. So you pretty much have to look up a guide ahead of time to know which one you want. 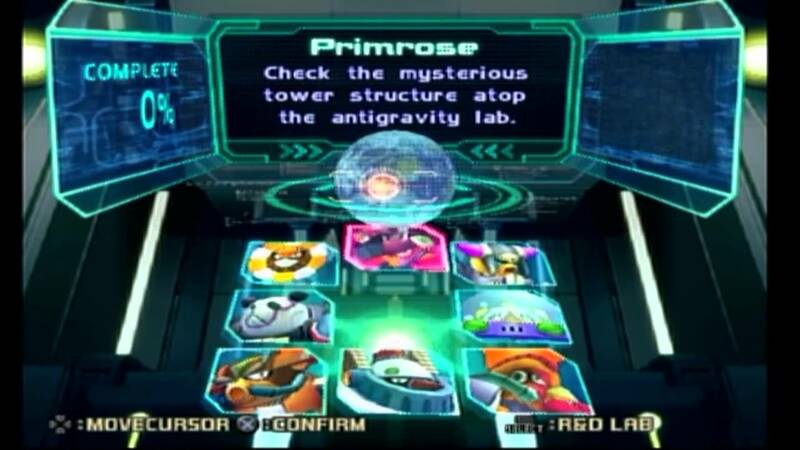 There is an even bigger issue with the chips, however, in that there is an additional fifth chip in one of the Dr. Doppler stages that grants all of the abilities of the four other chips. Like the other four, the fifth chip cannot be obtained if you’ve claimed another one. But this just leaves the other four feeling completely pointless. Just go for the fifth one. Why even have the others in the game? X3 brings back the concept of mid-bosses entering the levels after two Mavericks have been defeated, but somehow misses what made the concept unique in X2. Two bosses – Bit and Byte – are located in mandatory mid-boss rooms, while a third boss – Vile, the suspiciously Boba Fett-esque secondary villain from the first X – is hidden in certain levels, but can only be fought before you fight Bit and Byte. 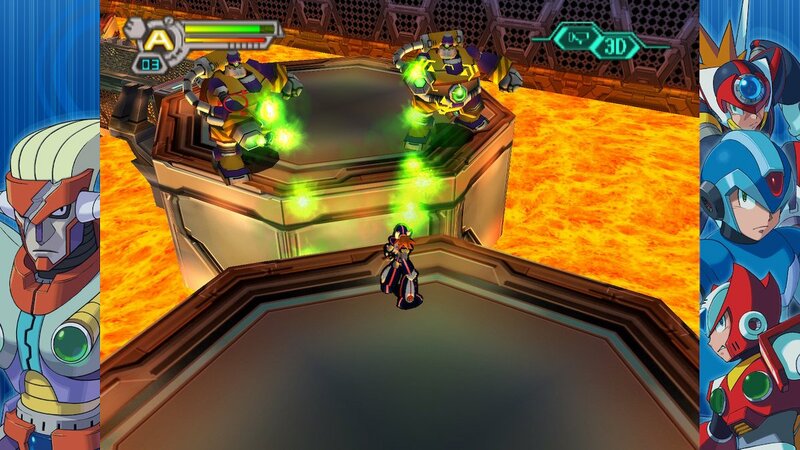 While X2 had players uncover hidden bosses to alter the story, the only real point of fighting Bit, Byte and Vile is determining whether or not you fight them again in Doppler’s fortress (defeating them with particular Maverick weapons wipes these bosses out for good the first time around). And by making two of these bosses mandatory, it kind of takes away from the whole concept that X2 introduced. Though Mega Man X3 retains the high quality visuals and audio of its predecessors, the graphics are more or less the same as those of X2, while the music is a relative step down in quality (relative in that even a step down for Mega Man music is still pretty darn good). Thankfully, the aesthetics have aged well, but that’s because it replicates two games that already achieved that timeless aspect. X3 doesn’t seem to try to surpass the visuals or sound of its two predecessors, instead simply making due. Mega Man X3 is all too familiar of a sequel for it to match the greatness of either Mega Man X or X2, but it’s still replicating two exceptional games, and on its own merits has held up pretty well over the years. The Mega Man formula is timeless, so even a lesser entry that follows the series rulebook will still probably end up better than many of their contemporaries. Mega Man X3 may be the point where the X series started to feel less special, but I’d be lying if I said it wasn’t a whole lot of fun, even by today’s standards.